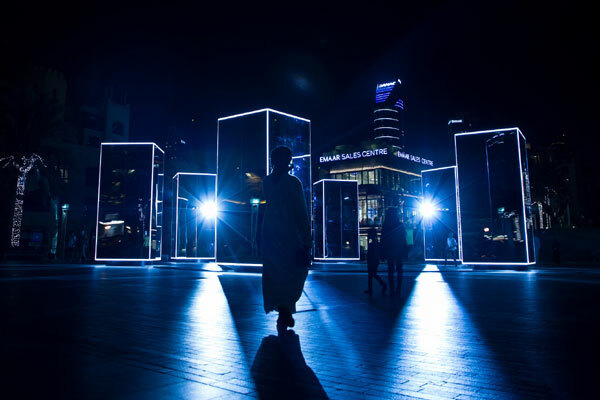 Leading Dubai developer Emaar has joined hands with DTCM for the launch of 'Downtown Light Park’ that features a dynamic light installation in Downtown Dubai set alongside a unique LED-lights maze that aims to delight the whole family. Downtown Light Park brings exploration, inspiration and illuminating entertainment to the heart of the city. It is accompanied by live performances that engage audiences through interaction with the light pieces. Located at Burj Plaza, Downtown Light Park has direct views of The Dubai Fountain and the sparkling Burj Khalifa light show, said a statement from Emaar. The installation was inspired by the book ‘Reflections on Happiness and Positivity’ by HH Sheikh Mohammed bin Rashid Al Maktoum, Vice President and Prime Minister of the UAE and the Ruler of Dubai. The piece encapsulates the reflections of His Highness on how we, as an urban society, can use glimpses of colour to transform one’s daily life and the images of the city. Residents and visitors to Dubai can also delight in ‘Silvana Light Maze’, a colourful maze based on a triangular geometry and built of 72 acrylic glass panels with a height of 220 m, said the Dubai developer.